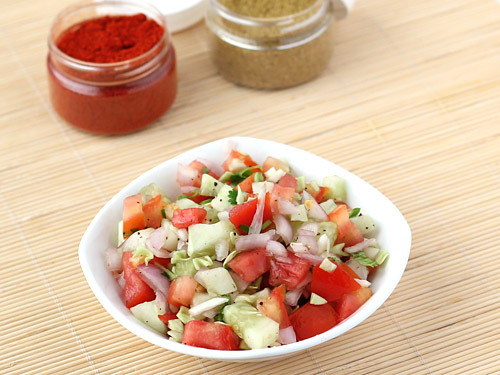 This is basically a vegetable salad where four basic vegetables, tomato, onion, cucumber and cabbage are cut and seasoned with salt and black pepper powder. However, don’t underestimate it by its ingredients; when combined, it’s an outstanding mix of hot, salty and spicy tastes. That’s not all, this recipe brings a twist to its taste by adding green chillies, green coriander leaves and lemon juice which makes it more fresh and zesty. 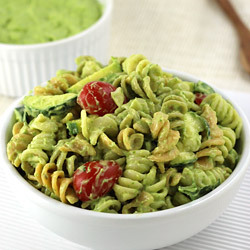 Typically, this healthy salad is either served as an accompaniment or eaten alone as low calorie food. 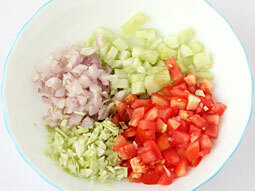 Take a bowl and mix chopped vegetables (onion, cucumber, tomato, cabbage). Add lemon juice, black pepper, green chilli, coriander leaves and salt. Toss gently until all ingredients are mixed well. Taste for seasoning and add more salt or lemon juice if required. Kachumber salad is ready. 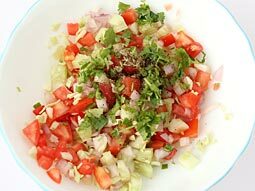 If you want to prepare salad few hours before serving to avoid last minute rush, then chop all vegetables except onion and keep them in refrigerator. Mix chopped onion, salt and other spices just before the serving. Use shredded cabbage in place of chopped one and use vinegar in place of lemon juice for a different taste. Sprinkle shredded beetroot over salad to give it a special look. Serving Ideas: Serve it as an accompaniment with a full meal in lunch or dinner. It can also be served on its own as a light and cool evening food during hot summer days and it doubles up as a low calorie food. It is a must have side item in Gujarati meals.